Although we’ve seen games with a Pacific Island theme before. We have to admit none of them are quite entertaining as Easter Island Video Slot by Yggdrasil Gaming! Indeed, this game delivers a really fun twist on the mysterious statues of the Easter Island. In fact, in this game, the statues talk, dance, expand and even swallow symbols! And in case you wondered, they can also deliver significant wins too since this game offers a max win of 47,000 coins! But don’t take our word for it! Try it at any casinos listed below or read the review for more information about this game. The main game is where the action is in this slot, and the reason for that is pretty simple. Indeed, this game does not offer a Free Spins bonus. But don’t let that discourage you, because Easter Island is an excellent game! In fact, not only does this slot offers a variable pay structure from 27 and up to 103 paylines. But it also offers Expanding Wilds and Sticky Wilds. What’s more is that you’ll have the chance to activate a low-paying symbol removal feature or a high-paying symbols swap after any winning spin and when triggering a Re-Spin. Now, let’s talk about the variable pay-structure. To sum up, the number of symbols in a winning combo dictates the amount of paylines you’ll play on, in your Re-Spins. To sum up, know that matching 4 identical symbols will give you 65 paylines to play on. And matching 5 symbols will give you a whopping 103 paylines when the statues expand. What’s more is that as you play your Re-Spin any Wild symbols that land on the second and fourth reel will always expand. Easter Island is a stunning game! 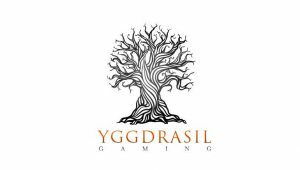 In fact, we have to give it to Yggdrasil; it sure seems that their graphics team when above and beyond when creating this slot! Granted that the excellent graphics is not the only reason why this game is so good! But, the continual flow of steady wins sure is the main reason to try this game. Additionally, if you’re a high roller you may also want to play with larger bets then you’d usually play with. Because, all and all, the wins are never far in between since this is a low to medium volatility slot. So a large stake won’t create too much of a dent in your casino balance, and you could win more money! Try it now and have fun!